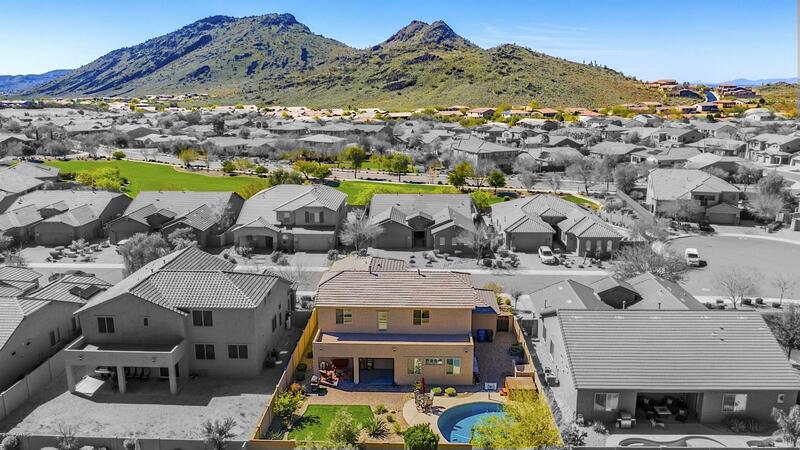 All STETSON VALLEY PARCELS 30 homes currently listed for sale in Phoenix as of 04/19/2019 are shown below. You can change the search criteria at any time by pressing the 'Change Search' button below. "Get ready to be 'WOW'd'! 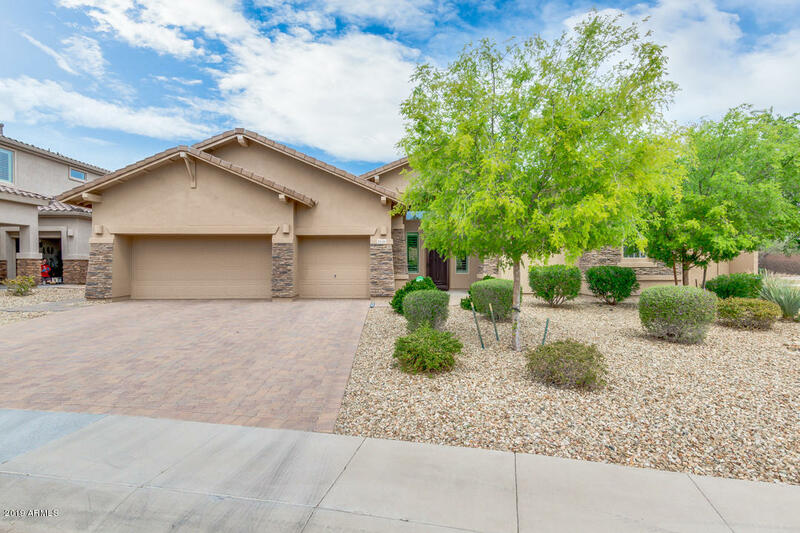 This stunning 4 bed/3 bath home has beautiful curb appeal with gravel and low-water landscape in front, cobble stone driveway, 3 car garage, and stone accents on facade. Step inside to discover neutral colors, tile flooring in main areas, up-graded carpet in family room and bedrooms. This home has the ideal layout with separate formal and family spaces and a true split bedroom floor-plan . The open, over-sized living area boasts a beautiful gas stone fireplace and eloqu"
"Stunning multi-generation house in Stetson Valley. Highly desired energy efficient Evolution Model features Main house with 3 large bedrooms, 2 Bathrooms & Den/Office & Private Casita. 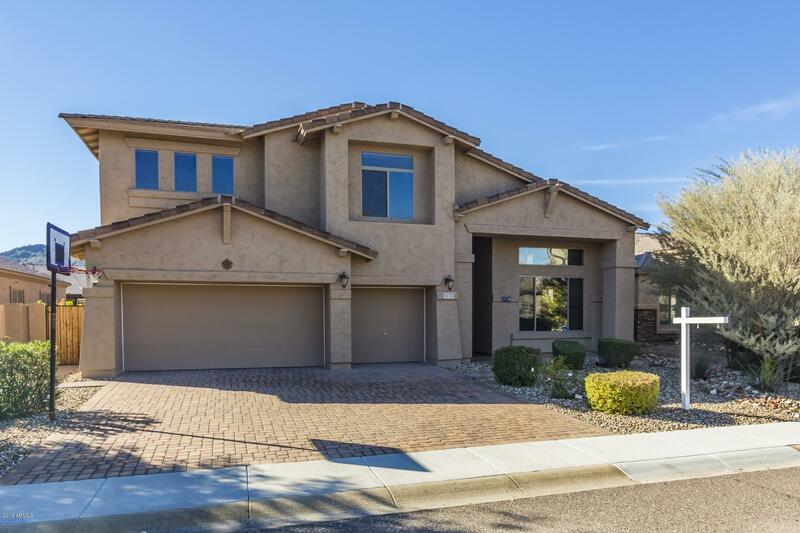 Split floorplan with 9+ Ceilings, open chefs kitchen features granite counters, center island, breakfast bar, SS appliances, pantry, and wood cabinetry. Formal dining area with patio access and upgraded lighting. Gorgeous Backyard features a beautiful Pool with Water Feature, newly installed Travertine pavers, bra"
"WOW MOUNTAIN VIEWS! SEPARATE ENTRANCE GUEST QUARTERS - w/FULL BEDROOM, BATHROOM, LIVING & KITCHENETTE!! TONS of PRIDE OF OWNERSHIP!! This LARGE HOME 3-car garage! Step inside in the main home to find a MASSIVE OPEN LIVING SPACE w/ HUGE GRANITE KITCHEN ISLAND! SS Appliance w/gas range! 18'' tile through-out, extended width staircase w/ rod iron, PLANTATION SHUTTERS!! All baths feature tile counters & surrounds, upgraded sinks, fixtures & TONS OF STORAGE! Master ensuite features massive W/I clos"
"Blending Relaxation & Sophistication to Create the Ideal Place! Masterful design and luxury are uniquely embodied in this 4 bedroom 2.5 bath 2 story home with 3,813 SF of living space! Upon entering the home you are greeted with tons of natural light, sprawling ceilings and the open floor concept! The island kitchen features tiled backsplash, SS appliances, light wood cabinetry, plant shelving and pantry. The spacious bedrooms boast high end plush carpeting and ceiling fans. The master bathroom "
"Large corner lot with an attached Casita! 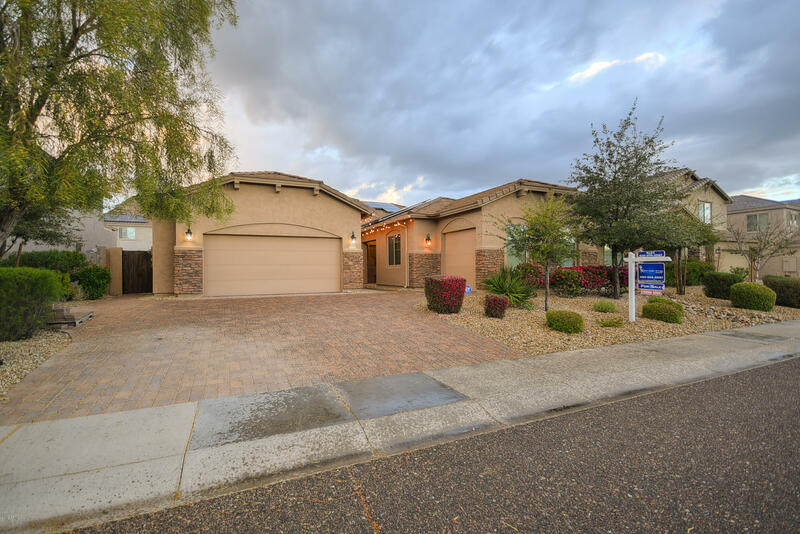 This beautiful 4 bedroom home is located in the highly desirable community of Stetson Valley. 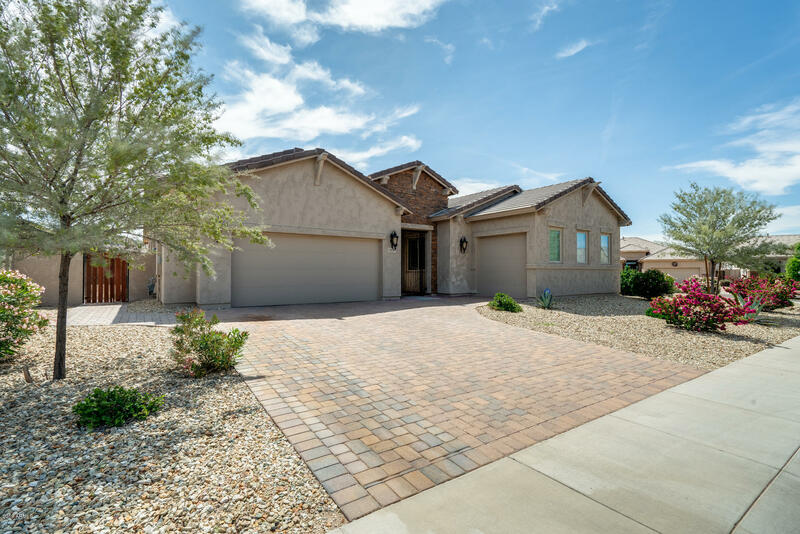 The fantastic curb appeal is brought out with stone accents, a paver driveway, and a gated entry to the front courtyard. The interior is tastefully designed with modern finishes including upgraded crown molding, accent stone walls in the family room and dining area, tile flooring, and shutters throughout. The kitchen is bright and open with 42'' upper maple cabi"
"One of the best values & locations in Stetson Valley..away from traffic, near parks & hiking trails. Gorgeous, low maintenance, pool-sized lot w/ watering system & mtn. views. 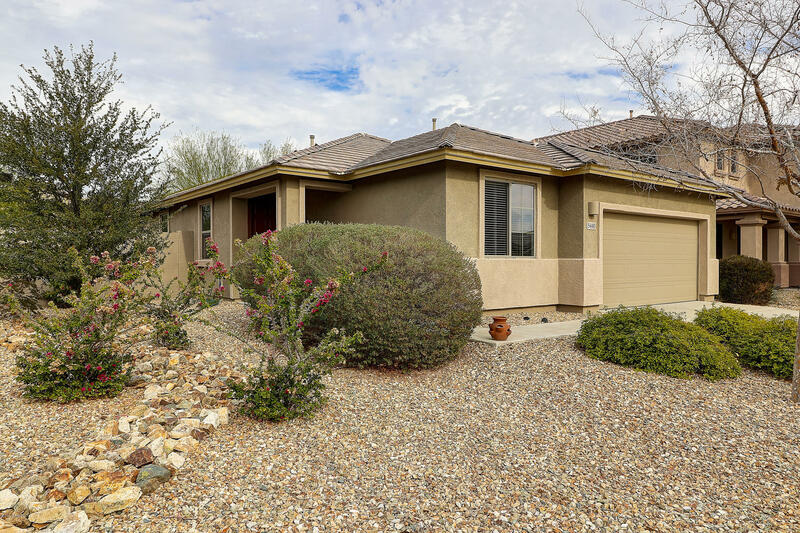 Home is pristine, w/ open, light & bright floor plan, dual pane windows, 2 tone paint, upgraded cabinets, stainless appliances, granite countertops, gas stove (also wired for electric) & 2 pantries (!) sunscreens & ceiling fans. A large master bdrm w/ensuite & closet is every woman's dream. The secondary bdrms are spac"